We are multidimensional beings in nature. Our physical human experience is just one of the viewpoints, one of the channels that we have access to. If we get really identified with our physical body and the limited version of the world we can perceive through it’s senses we can temporarily forget our broader multidimensional nature. It is good to remind ourselves of how small the frequency bandwidth of the experience through a physical human body actually is in the grand scheme of things. 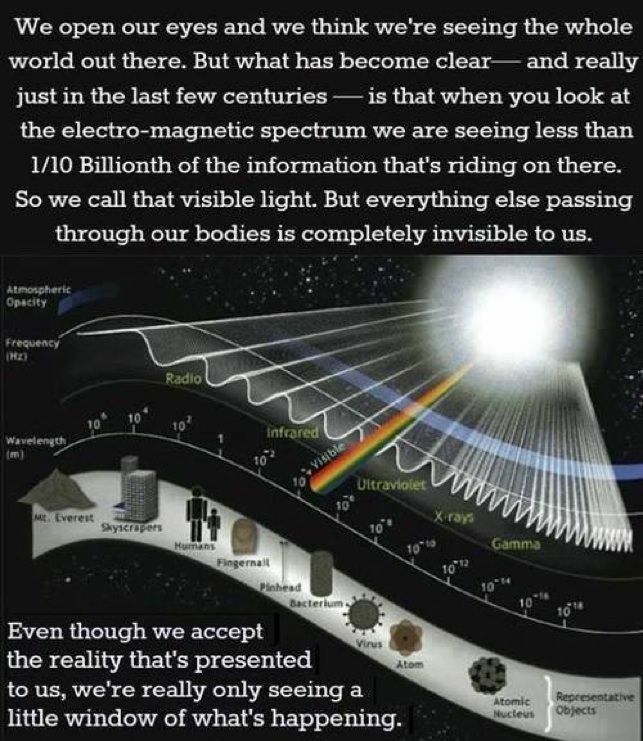 The physical reality that we can perceive through the senses of our physical body is only a tiny frequency bandwidth of a much broader spectrum that we scientifically know exists. Interestingly enough the illusion that our physical reality that we perceive through the senses of our physical body is the only ‘real’ one or the only ‘relevant’ one is very easy to dismantle. Whenever we sleep and experience dreams we are already experiencing a different level of consciousness than our ‘normal waking consciousness’. And so every night we are tapping into other frequency bandwidths that are next to the frequency bandwidth of physical reality. And so we see that every sleep cycle we are reminded of our broader, multidimensional nature. Most extraterrestrial, interdimensional and multidimensional contact with our star family takes place on frequency bandwidths that are a next to our physical reality one, although there can be some overlap. 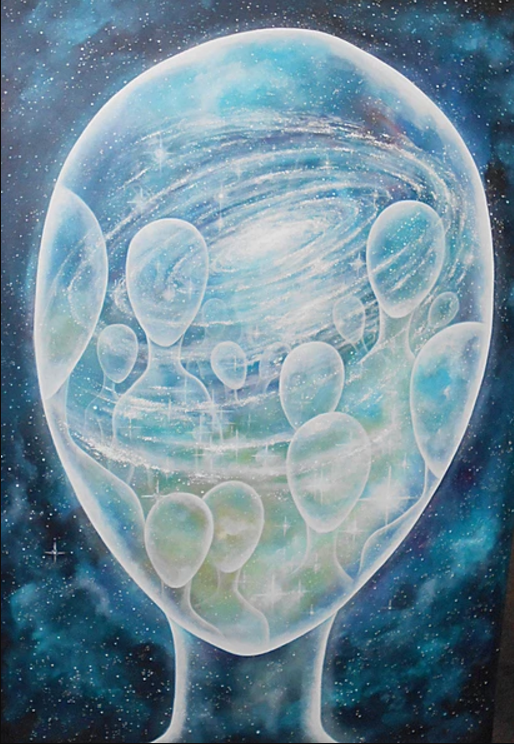 The more comfortable and practiced we are with tapping into other frequency ranges next to the ‘physical reality’ one, the easier it will be to connect to our star families. In this part – Multidimensionality / Know Yourself – we reflect several permission slips to people so that they can remember / connect to their own multidimensional nature. By repeatedly connecting to other frequency bandwidths outside of our ‘normal physical reality’ one, we can gain firsthand experience of our own multidimensional nature. 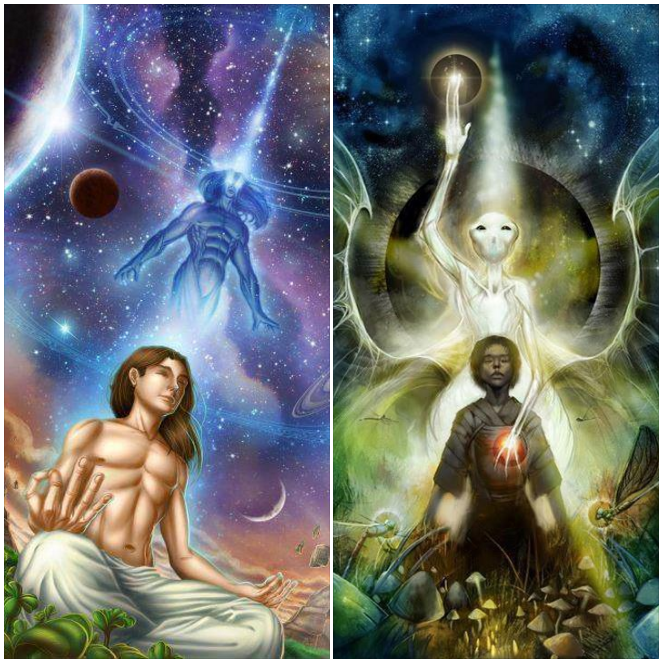 The more comfortable and practiced we are with tapping into other frequency domains next to the physical reality one, the easier it will be to connect to our star families.